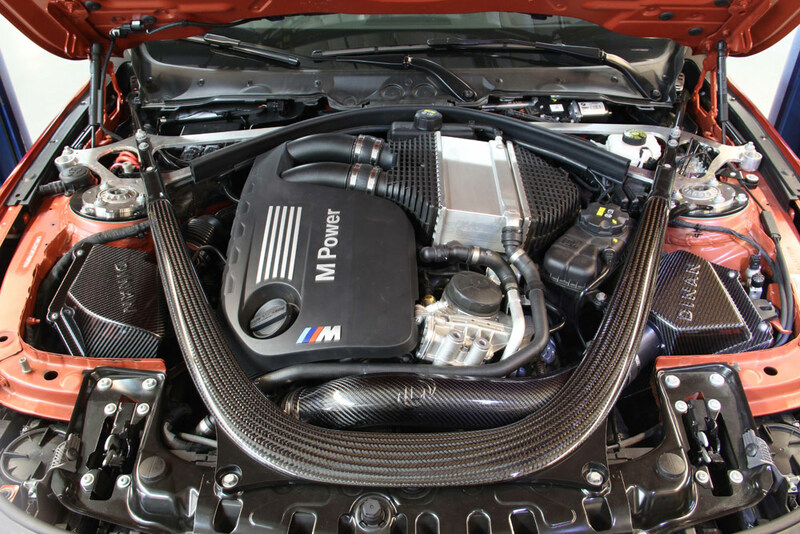 The Dinan Carbon Fiber Cold Air Intake is designed to improve performance and sound. This product earns you 3 Dinan points. Get rid of your boring stock engine sound and accentuate your exhaust tone by adding a sportier, more aggressive sound to your car. Feel the power push you back in your seat with an approximate 14hp gain when combined with other Dinan products. 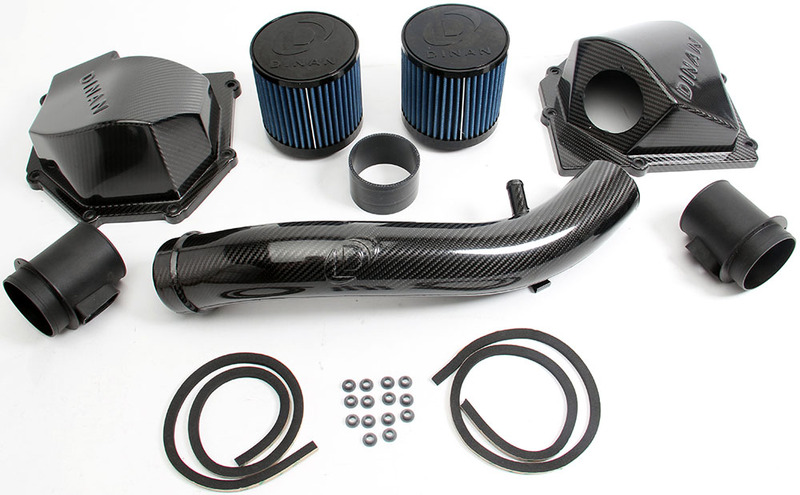 Stay ahead of the competition with the performance gains that you'll receive from this carbon fiber cold air intake. While improving the appearance of your engine bay may be important to some, maximizing your cars potential is of upmost importance to majority of enthusiasts. 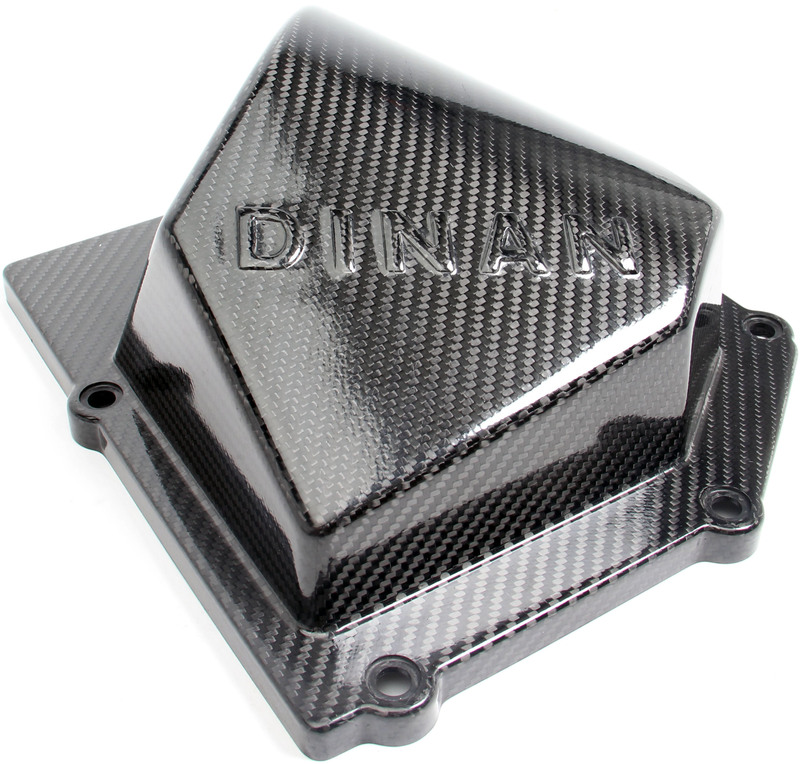 This Cold Air Intake by Dinan delivers as much outside cold air as possible to your engine bay with the use of a straight, free flowing carbon fiber tube. The air feeds into larger airboxes that bring out a slightly more audible and sporty tone compared to your stock intake. This design yields increased horsepower and torque throughout the power band and shows consistent gains over Stage 1 when combined with the Stage 2 Performance Tuner by Dinan. *Max gains of 14 HP @ 6000 RPM and 21 lb-ft of torque @ 3000 RPM when combined with the Stage 2 DINANTRONICS™ Performance Tuner and exhaust over stage 1 tuning.